Seeking energetic, bright, outgoing individuals to assist our clients with clerical support positions in Brisbane Suburbs. Typical duties include entering data into a computer, filing records, sending and receiving faxes, answering telephone calls, relaying messages and providing customer service. Individuals with Accounting, Human Resources or other industry experience are also encouraged to apply. Positions are in the Brisbane suburbs. Local applicants, please forward for review. 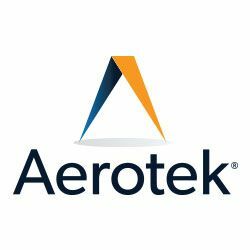 Since our founding, Aerotek has grown to become one of the top global recruiting and staffing agencies. Over the past three decades we've built an unrivaled culture and our unique, people-focused approach yields competitive advantage for our clients and rewarding careers for our contractors. Today we serve virtually every major industry, and we've placed exceptional people in hundreds of thousands of roles and positions. Everything we do is grounded in our guiding principles to build and nurture quality relationships that allow us to place quality people in quality jobs. Hi Larry, Reach more people by sharing this job with your network. Get updates on latest Administrative & Clerical Jobs in Australia - Brisbane.